Especially delicious, cute little cuke is prime for patio plucking and pickling. Restricted vine offers up exceptional yields—up to 55 gorgeous fruits per plant. Compact, leafy plants are pretty as a picture in a patio container. 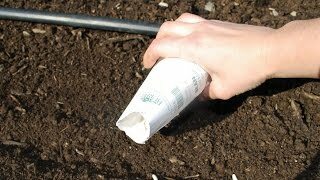 Resists downy mildew. Cucumber, Fresh Pickles Hybrid is rated 3.6 out of 5 by 7. Rated 5 out of 5 by cindy1227 from A lot I couldn't contain them in my small raised bed. Such a high yield! Rated 1 out of 5 by Pickle from No cukes We had a woodchuck and chipmunks ravage the plants early...so this year, unfortunately, I will not be canning Bread and Butter pickles as in past years....which is sad! It is not the fault of the seeds, of course. 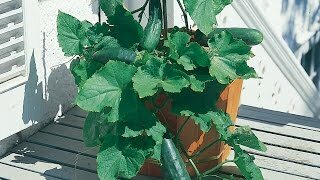 Rated 5 out of 5 by 240czar from Cukes Galore I have 4 plants in my raised garden that are producing all my family and friends can eat. So far, there haven't been any disease or fungus issues. I plan to buy this variety again and again. Rated 2 out of 5 by NJGrandma from Succumbed Early Plants succumbed early to wilt. They were planted in large containers so I'll try again next year in a different location in the raised bed. Cucumbers that I did get were delicious and the right size for pickling if the quantity had been sufficient. Rated 5 out of 5 by Periwinkle Épée from Great Cukes for South Florida I have been growing these for about two years now and have consistently received large yields for canning. They can great and taste great. Rated 5 out of 5 by Robyn from Excellent Producer!! I planted these last year and I was astonished at how well they produced. They seem to be self pollinating!! I had planned to manually pollinate these since I had issues In prior years with not enough bees to pollinate my cucumbers but not the case with these. When I went out to do the manual pollination, I could not find any male blooms to use to pollinate the female blooms. they seemed to be all female and every single bloom produced a cucumber! I had them coming out my ears! i'm definitely planting these again this year.